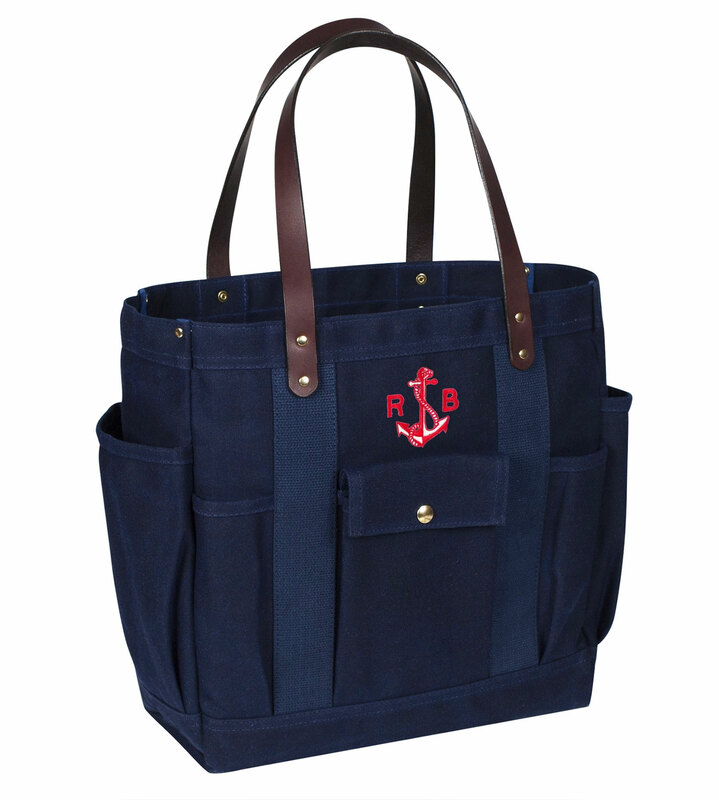 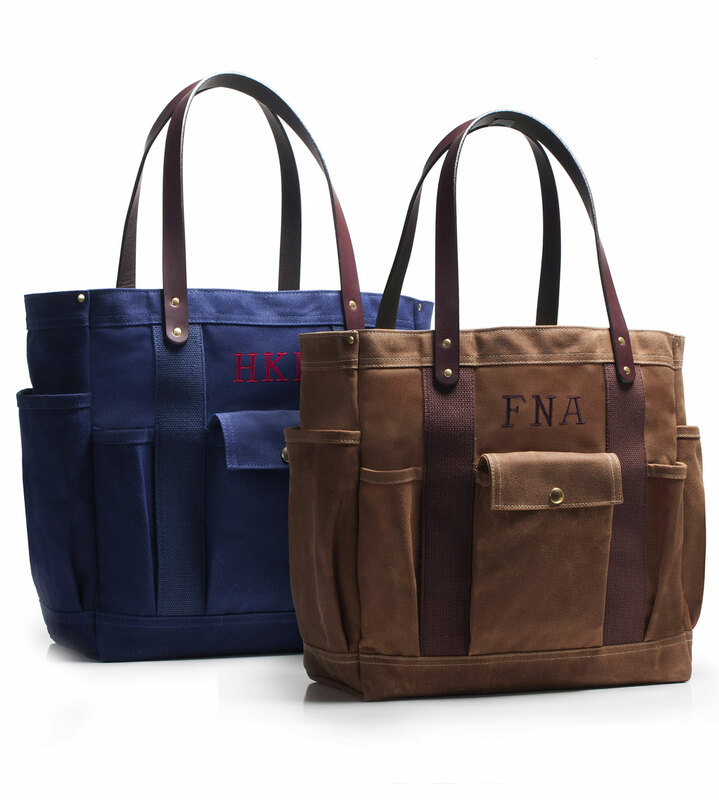 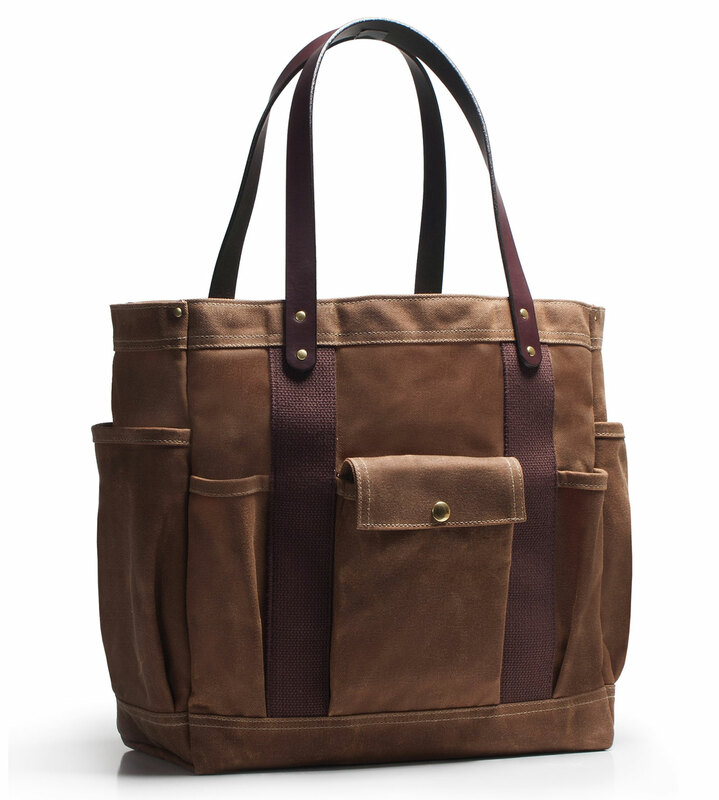 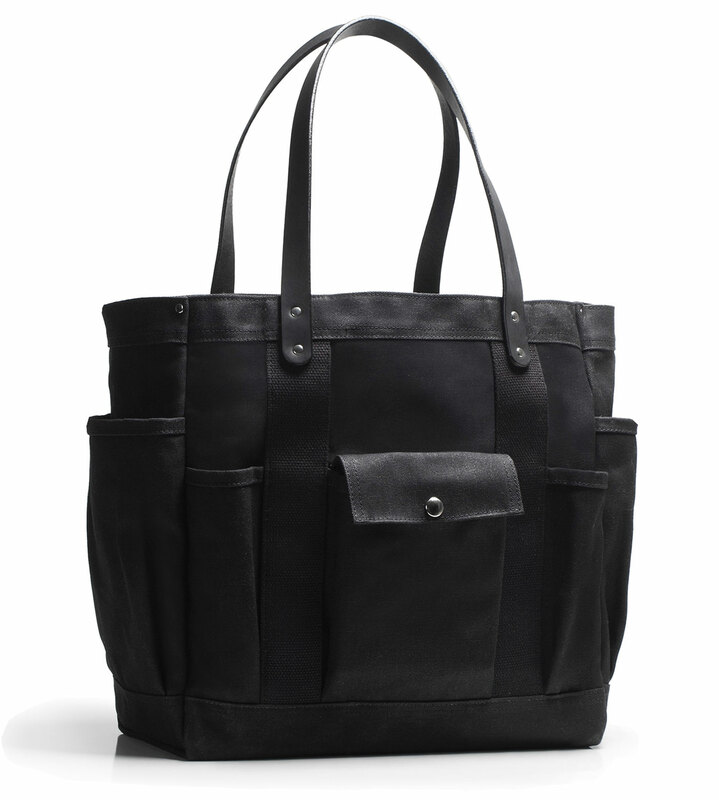 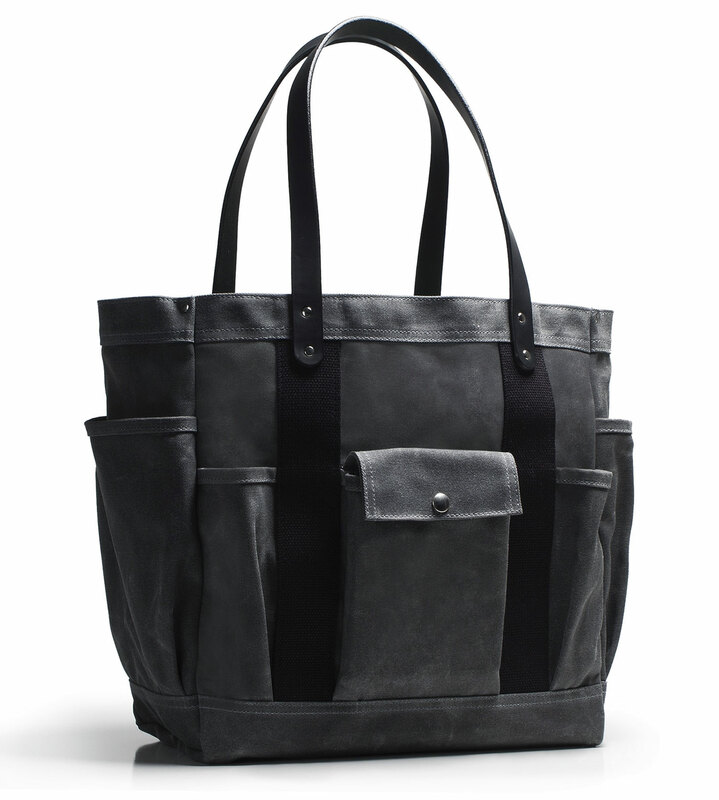 American craftsmanship is on full display with this versatile tote. 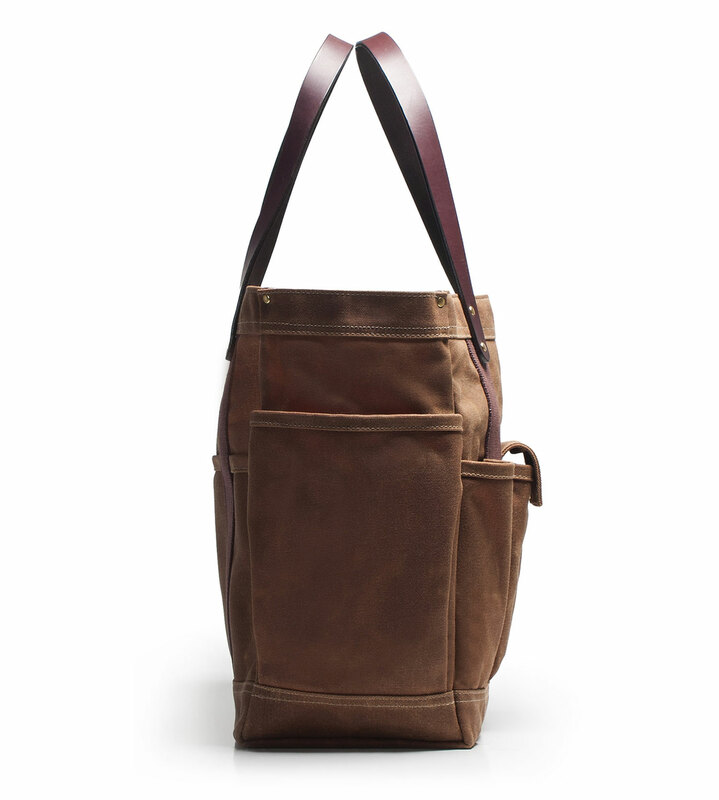 Traditional wax treated cotton duck is supported by box-stitched and riveted bridle leather handles. 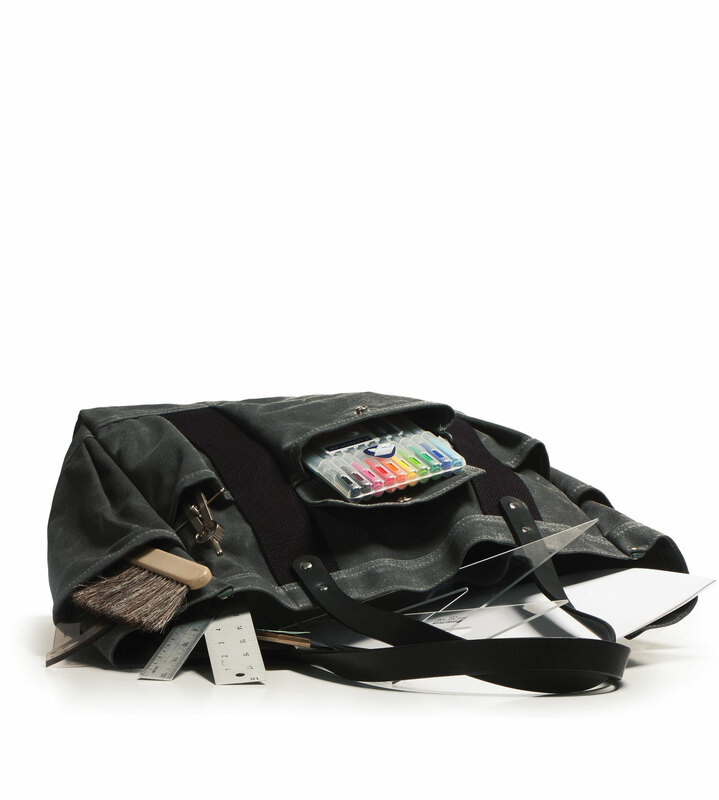 All inside seams are taped for clean, durable finish. 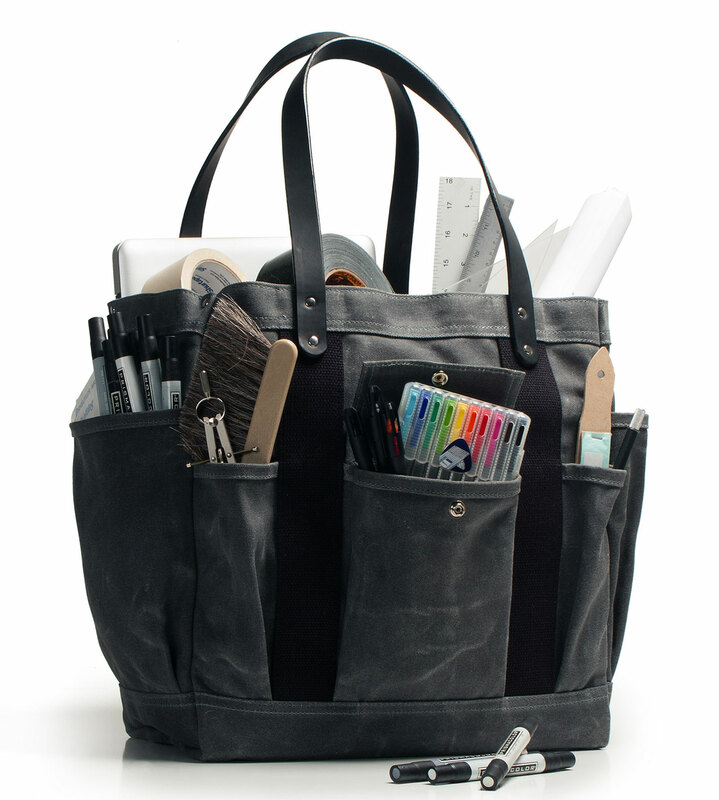 Designed as a well-organized tote for the professional or outdoorsman, this is a practical bag for designers, architects, artists, and other occupations where samples and implements may need to be carried to the office, job site, or client location.Sportsmen, birdwatchers and boaters alike will appreciate the versatility and quality of this bag. 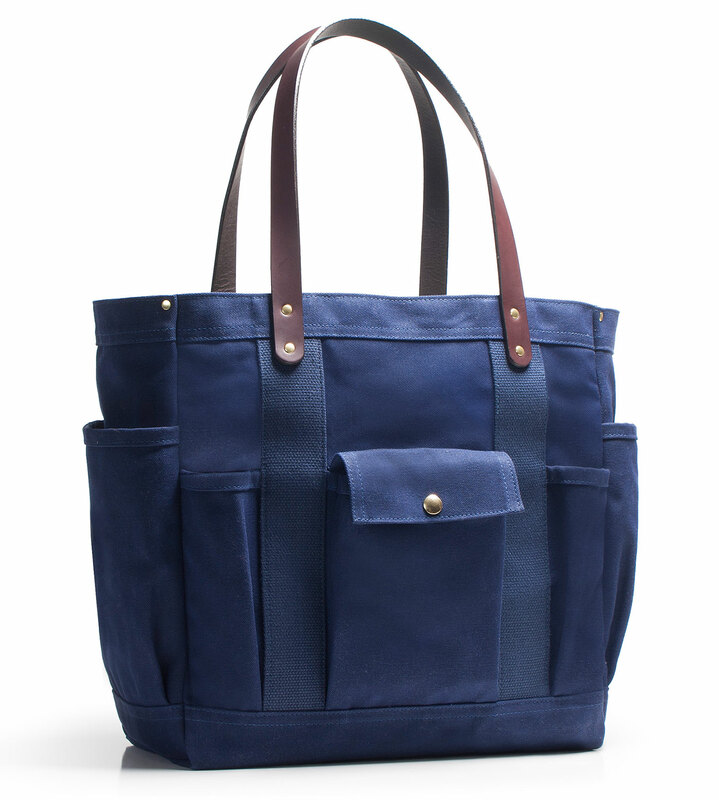 The exterior of this tote is surrounded with gusseted, slip and a snap pocket for organizing smaller items. 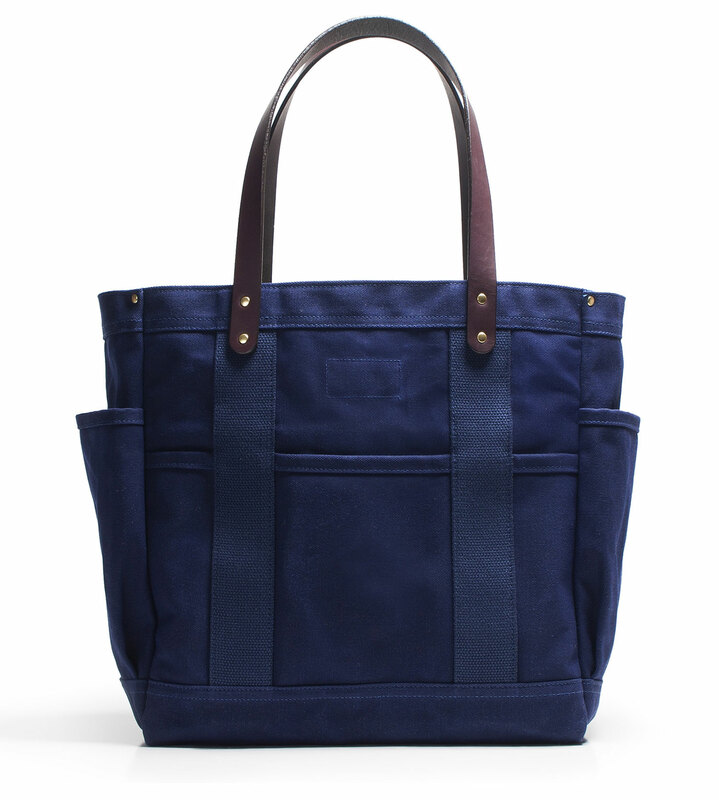 Three additional slip compartments are available inside.